Although I am besotted by bearded iris I like all iris and one little gem is Iris setosa. In the wild this has a huge distribution around the northern hemisphere in Alaska, Canada and Siberia. As might be expected from a plant that comes from many habitats it is very variable and it can vary in height from 15cm to 80cm. I have the shorter version in the garden. 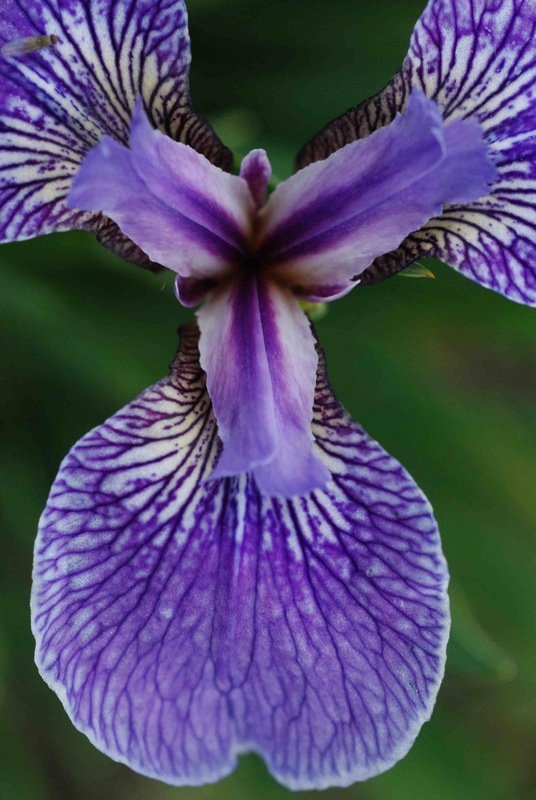 It is quite tricky to name and it may be called Iris hookeri, Iris setosa var. canadensis, Iris setosa var. arctica, Iris setosa ssp. canadensis or Iris setosa var. nana. Whatever its name it is a really cute plant that only grows about 15cm high and has neat, grassy leaves and two or three flowers per stem and is in bloom for several weeks. The blooms are unusual in having very reduced, bristle-like standards. The plant likes sun or part shade and prefers an acid, moist soil but it is not fussy and is often planted on rock gardens because of its diminutive size. It is reputedly rather shortlived but division every few years may keep it going and it is easy to raise from seed. It would look cute with blue fescues or with black-leaved ophiopogon or smaller, white-variegated hostas or … the possibilities are endless.